The nation’s sixth-largest hotel owner-operator and the leading national real estate development and investment firm finance 5,958-guestroom Marriott and Hilton select service and extended stay hotel portfolio. 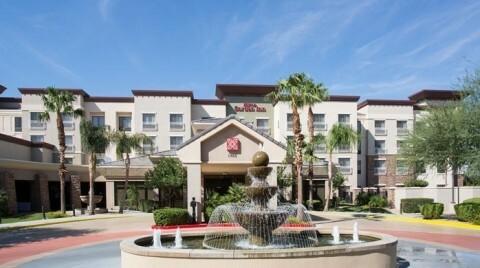 The Hilton Garden Inn Phoenix Avondale in Arizona. 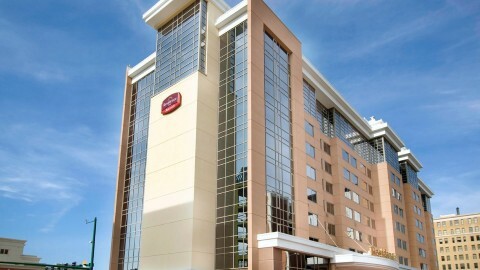 The Residence Inn Norfolk Downtown in Virginia. 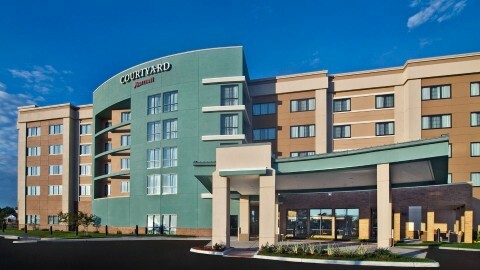 The Courtyard by Marriott Newport News in Virginia. NEW YORK--(BUSINESS WIRE)--A joint venture of MCR and Building and Land Technology (BLT) has completed a $647.5 million financing across a 5,958-guestroom national portfolio of 53 Marriott and Hilton select service and extended stay hotels spanning 15 states and 31 markets. Thirty-three of the hotels carry Marriott brands, while 20 properties operate under Hilton brands. On average, the portfolio’s hotels are 12 years old and generate RevPAR of $90 and RevPAR Index of 120%. “This financing is a testament to the quality of the portfolio, exceptional lending relationships, strong joint venture partnership and MCR’s operational expertise,” said Carl Kuehner III, Chairman of Building and Land Technology. 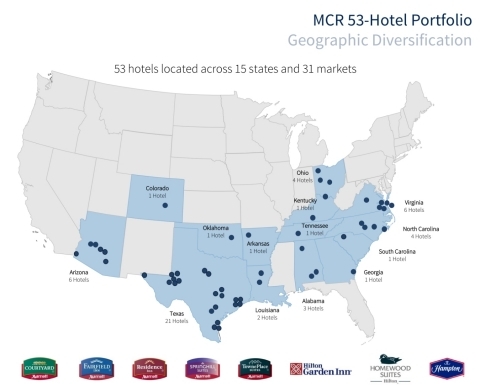 MCR is the sixth-largest hotel owner-operator in the country and has invested in and developed 104 hotel properties with more than 12,000 rooms in 27 states. MCR’s hotels are operated under 11 brands. The firm has offices in New York City and Dallas. MCR is a recipient of the Marriott Partnership Circle Award, the highest honor Marriott presents to its owner and franchise partners, as well as the Hilton 2017 Top Performer Award. For more information, visit www.mcrinvestors.com. Building and Land Technology (BLT), founded in 1982, is a privately held real estate developer, manager and private equity firm. BLT is vertically integrated and has invested in, developed, owned and managed more than 25 million square feet of commercial, hotel and residential properties across 26 states. BLT is also the largest franchisee of Sotheby’s residential real estate brokerage, with 28 offices and 1,000 real estate agents. To learn more about BLT visit http://www.bltoffice.com.